I may have officially given up on fitting my books to the actual reading challenge list. But I'm still reading! 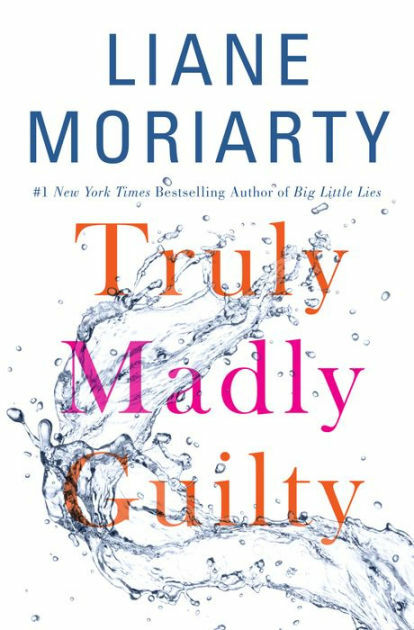 I recently finished Truly Madly Guilty by Liane Moriarty, and I've thought of it a few times since. Moriarty is one of my favorite authors, and I love the development of her characters, so it really comes as no surprise. In Truly Madly Guilty, we have Sam and Clementine (a married couple with two young girls), Erika and Oliver (Clementine's best girlfriend from her youth, with a complicated relationship, and her husband), and Tiffany and Vid (Erika and Oliver's neighbors). A tragedy strikes one night as the couples hang out together, and no one will ever be the same. The book explores how all the couples and their children are affected, and even gives a great twist at the end with one more party we hadn't even known about. Overall, as with most of Liane Moriarty's books, I would recommend reading this one for yourself. You've got to read the whole thing to get the surprising twist and backstory there at the end. This sounds like a book I would enjoy reading. I just have such a huge stack of books I am trying to get to. I'm hoping to have some extra time over the winter to catch up on them. I still haven't read that one but I usually really like her books. Have you read Big Little Lies and/or seen the TV show? Both are great. I love to read but it usually takes me forever to get through a book, unless it's by Liane Moriarty. I've been loving all of her reads! Sounds like a good book! Possibly intense and awful real to life.